Back pain can affect 8 out of 10 people throughout their lifetime. Because it’s become such a common complaint over many generations, it’s not uncommon for the average person to turn to self-care remedies in order to find immediate relief for their symptoms without the need to seek medical attention. As a result, many myths about back pain and its treatments have developed over the years. Neel Anand, MD discusses several of the most common myths regarding the symptoms, causes and treatments of back pain. Dr. Anand is the Director of Orthopedic Spine Surgery at the Cedars-Sinai Institute for Spinal Disorders in Los Angeles. Below are seven of the most prevalent myths which have been debunked by healthcare professional Neel Anand, MD. We will then discuss debunked chiropractic care myths regarding back pain. Every time your mother told you to sit up straight, she wasn’t wrong about how hunching over could be bad for your back, however, sitting up straight can certainly have its own health issues. Sitting up straight for an extended period of time, with no break and in a position which doesn’t feel quite natural for your body, can alternatively cause strain on your spine. An improper posture can eventually lead to spinal misalignment, or subluxation, which may then cause back pain. If you work in an office for 8 hours each day, maintaining a proper posture can be difficult. To provide your body with the proper support it needs in an office work setting, make sure to keep your feet resting flat on the ground while maintaining your chair at a height where your knees are at a 9-degree angle. Also, make sure that you stand up and stretch several times a day or simply take some time to go for a walk several times a day in order to keep your muscles from becoming stiff and/or shortened. Proper posture is important for managing back pain, especially if you have a sedentary lifestyle. People who suffer from back pain may experience worsening pain and discomfort if they switch their current mattress for one of the firmer choices. A mattress that is too firm can place unnecessary amounts of stress on an individual’s shoulders and hips. Conversely, a mattress that is too soft can lack the support necessary to allow proper movement. In both circumstances, the individual can suffer a misalignment in their spine from improper sleeping posture. Improper sleeping posture caused by an improper mattress can cause back pain. Research studies have also demonstrated that a good mattress can be just as helpful to prevent further health issues. A poll from the North American Spine Society revealed that one of the biggest misconceptions regarding back pain involves exercise. Of course, if you have a sedentary lifestyle and decide to participate in strenuous physical activity, you’re bound to experience some type of injury which could result in back pain, however, an individual who properly engages in the appropriate amount of exercise their body can sustain will experience countless benefits towards their spinal health. You can prevent symptoms of bak pain by preparing your body for the shock of everyday movements with stretching and warm-up exercises in order to help wake up your muscles. Take a cue from professional athletes that engage in stretching and warm up routines during their daily routine to avoid injury on the field. Strengthening your core and back muscles can also help you avoid injuries which could cause back pain. Exercises focused on cardio as well as strengthening your stomach and back muscles can help improve overall health and wellness. Back pain is not an unavoidable side-effect that comes with age and certainly, getting older does not mean life has to become debilitating. While the degeneration of the structures of the body is a natural and even a normal process that comes with age, remaining physically active by participating in regular exercise and physical activity can help keep our bodies strong, flexible and mobile. There are many fitness alternatives, including yoga, Pilates and T’ai Chi as well as other treatment options ranging from acupuncture to physical therapy, which can help improve symptoms of back pain which may be caused by the wear-and-tear of the body. Just because you’re getting older doesn’t mean that you simply have to live with aches and pains. You’ll often hear back pain sufferers claim that their symptoms started without a cause or that they simply began on their own. In almost all cases, however, individuals who suffer back pain may have caused their own symptoms without them even realizing it. From improperly lifting a heavy object and twisting your back incorrectly to overdoing a workout, poor posture and even weight gain, back pain can be the result of many different factors. All of these circumstances can place too much pressure on the spine, leading to these seemingly “out of nowhere” symptoms of back pain. While most cases of back pain may improve on their own, a persistent case of back pain that is left untreated for an extended period of time may lead to some very serious health issues. Therefore, if you experience back pain without an apparent cause, make sure to seek immediate medical attention to properly diagnose the source of your symptoms and begin the proper treatment for it. There aren’t many things as relaxing as sinking yourself into a wonderful hot bath, however, after injuring your back, doing so may make your situation worse. While heat therapy might be beneficial for some types of injuries and/or conditions to help relax and loosen the tissues as well as to stimulate blood flow to the affected area, applying heat to some of these can increase inflammation, worsening your symptoms of back pain. Instead, many healthcare professionals recommend the use of ice therapy for back pain because it can help decrease pain, swelling, inflammation and muscle spasms or cramping. Doctors recommend applying ice to the affected area for 20 minutes at a time to reduce painful symptoms. Play it safe and check with a healthcare professionals for the best recommended treatment for your specific source of back pain. Many individuals who suffer from back pain will avoid seeing a doctor entirely out of fear of surgery. 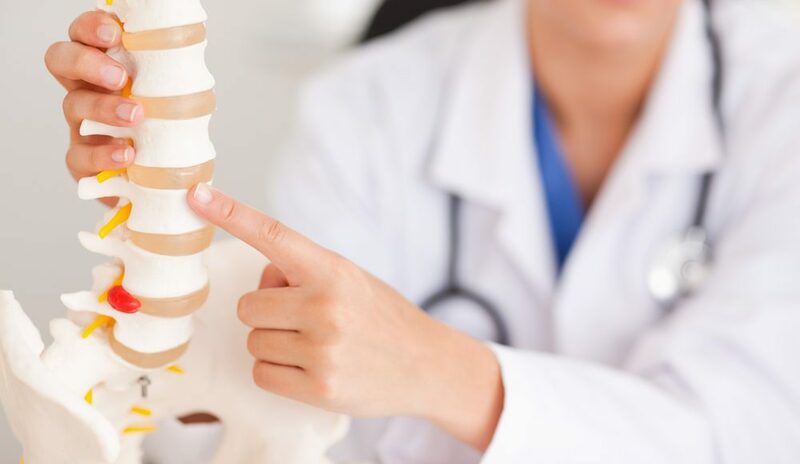 But, as a matter of fact, although most people experience back pain at some point throughout their lifetimes, the majority of them are able to find relief from their symptoms without the need for invasive treatment procedures. Commonly utilized treatment methods for back pain include over-the-counter drugs and/or medications or lifestyle modifications like exercise and physical activity. Other alternative treatment options, such as chiropractic care and physical therapy, are common treatment options for many individuals with back pain. Only when a healthcare professional has determined that no other treatment method has been effective towards the improvement of your symptoms is it when surgery may be recommended for you and even then, many patients will often seek a second opinion from another healthcare professional. Furthermore, patients who may require surgery to relieve their back pain generally suffer from more severe injuries and/or conditions. Whether you understand the source of your back pain or not, fear of surgery should never keep you from seeking medical attention. But if you prefer a much more natural approach, chiropractic care may be the best treatment option for you. Just as there’s many myths regarding what works and what doesn’t when it comes to back pain, there’s also several myths regarding the use of alternative treatment options for your symptoms. As with any other medical procedure, there are many misconceptions out there about what chiropractic care can do for your health issues, when in fact, chiropractic care can be tremendously beneficial for your back pain. However, it is best to have these misunderstandings cleared up once and for all. If you’re considering chiropractic care for your back pain, below we will discuss several of the most common chiropractic care misconceptions and myths which have been debunked through various research studies. If you suffer from back pain and have considered visiting a chiropractor, you might have heard the myth that chiropractors are not real healthcare providers and that they do not have any medical training. 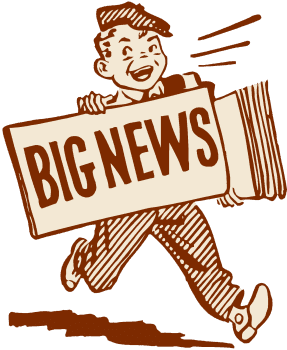 As the Council on Chiropractic Education (CCE) and the American Chiropractic Association (ACA) have made it clear before, a doctor of chiropractic, or chiropractor, receives graduate degrees from Doctor of Chiropractic programs plus they also complete residency programs afterwards to complete their studies. In total, chiropractors spend a minimum of eight years in higher education, including four years as part of their chiropractic college education. Given that chiropractic care commonly utilizes spinal adjustments and manual manipulations for the treatment of various spinal health issues, a common myth is that this type of treatment isn’t safe. The truth is that chiropractic care is a safe and effective, alternative treatment option for neck and back pain. A qualified and experienced chiropractor utilizes careful precision when using chiropractic treatment methods on a patient. 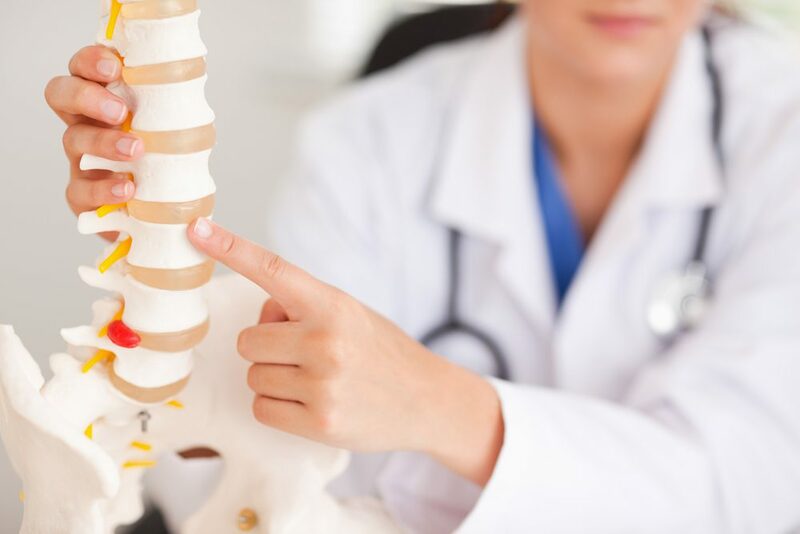 Moreover, a doctor of chiropractic will first make sure to properly diagnose the source of a patient’s back pain symptoms in order to determine which type of treatment method will be best for them. In addition, you may have heard that chiropractic care is only effective for back pain. Research studies have demonstrated that chiropractic care can be helpful for a variety of health issues, including neck pain, headaches and even migraines. Also, individuals who suffer from fibromyalgia and osteoarthritis can also find pain relief with chiropractic care. Approximately 35 percent of people who receive chiropractic care are seeking back pain relief, whereas the remaining 65 percent visit a chiropractor to seek relief from neck pain, arm pain, leg pain and head pain. When it comes to back pain, chiropractic care is one of the most popular alternative treatment options people will turn to for relief of their symptoms. Several myths and misconceptions about chiropractic care often turn people away from receiving the proper treatment they deserve, when in fact, chiropractic care can help treat a variety of injuries and/or conditions, including back pain. As a chiropractor in practice, I have helped restore the original health and wellness of many of my patients, giving them back their quality of life. Research studies have debunked these myth, demonstrating that chiropractic care is a safe and effective alternative treatment option because it allows the human body to naturally heal itself through the proper alignment of the spine. In conclusion, if you are suffering from back pain, or any other spinal health issue for that matter, chiropractic care can safely and effectively help improve your symptoms. Chiropractic care is a well-known alternative treatment option which focuses on the diagnosis, treatment and prevention of a variety of injuries and/or conditions associated with the musculoskeletal and nervous system. Through the use of spinal adjustments and manual manipulations, among other treatment methods, a chiropractor, or doctor of chiropractic, can help tremendously reduce your symptoms, however, it is essential for you to choose a qualified and experienced chiropractor. Dr. Alex Jimenez is a chiropractor dedicated to enhancing the overall health and wellness of his patients by restoring the original integrity of their spine as well as providing them with the pain relief they deserve. The scope of our information is limited to chiropractic as well as to spinal injuries and conditions. To discuss the subject matter, please feel free to ask Dr. Jimenez or contact us at 915-850-0900 .